In 2002 the first transcatheter aortic valve implantation (TAVI) was performed in Europe. Since this time, TAVI has become increasingly utilised both across Europe and worldwide. With the early trials now reporting encouraging mid- to late-term results, TAVI has become a cost-effective alternative in high-risk patients not amenable to open surgery. Indeed, these indications look likely to become further expanded into a wider range of patient groups as we gain further technical familiarity alongside the development of novel generations of valve and advances in transcatheter technology. This chapter discusses the evolution of TAVI in Europe, summarising the route leading up to its incorporation into routine clinical practice and the potential for future development. Edwards_Lifesciences. Edwards Lifesciences to Acquire Percutaneous Valve Technologies, Inc. for $125 Million. http://www.edwards.com/newsroom/Pages/nr20031215.aspx. NICE. 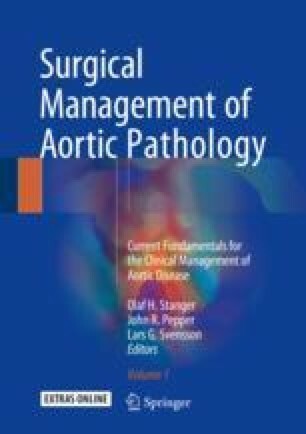 Transcatheter aortic valve implantation for aortic stenosis. NICE interventional procedure guideline [IPG421]; 2012. https://www.nice.org.uk/guidance/ipg421. NICE. Transcatheter valve-in-valve implantation for aortic bioprosthetic valve dysfunction. NICE interventional procedure guideline [IPG504]; 2014. https://www.nice.org.uk/guidance/ipg504/chapter/1-recommendations.